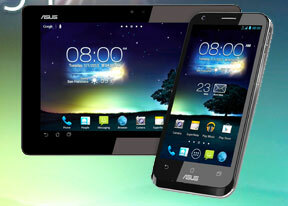 The Asus Padfone 2 has the full version of the Polaris Office 4.0 suite for viewing and editing documents. Polaris Office has support for viewing document files (Word, Excel, PowerPoint and PDF, including the Office 2007 versions). Reading documents is quite comfortable and panning is blazing fast. You can edit a wide variety of settings and documents, and there's also cloud storage integration (Dropbox, Box and Google Drive). The calendar has three different types of view - daily, weekly and monthly. The lower section of the screen is reserved for a list of upcoming events. Adding a new event is quick and easy, and you can also set an alarm to act as a reminder. The Calendar also pulls info about upcoming events from your Facebook account. Facebook events appear just like regular calendar entries but you can't edit them on the phone - they are read-only. There is also a calculator aboard. It is nicely touch-optimized - the buttons are really big and easy to hit. You can enable advanced functions (trigonometry, logarithms) in either portrait or landscape mode. The alarm clock app supports multiple alarms, each with its own start and repeat time. The Alarms app can also work as a desk clock - you have a big toggle for the brightness, as well as weather info and shortcuts to gallery slideshow and the music player. There's no world clock, stopwatch or timer though. Finally, the Recorder app lets you create voice memos that you can save and listen to later.